Have questions? Call 0422 466 099 or email me. I was born in a small town in Cheshire England, and since the age of 16 I’ve been driven by a passion to become a carer of orphaned kangaroos. Towards that goal, I eventually immigrated to Australia in 2003. When I began training to be a volunteer wildlife carer over 11 years ago, no one told me that each animal of every species could have such distinct personalities. 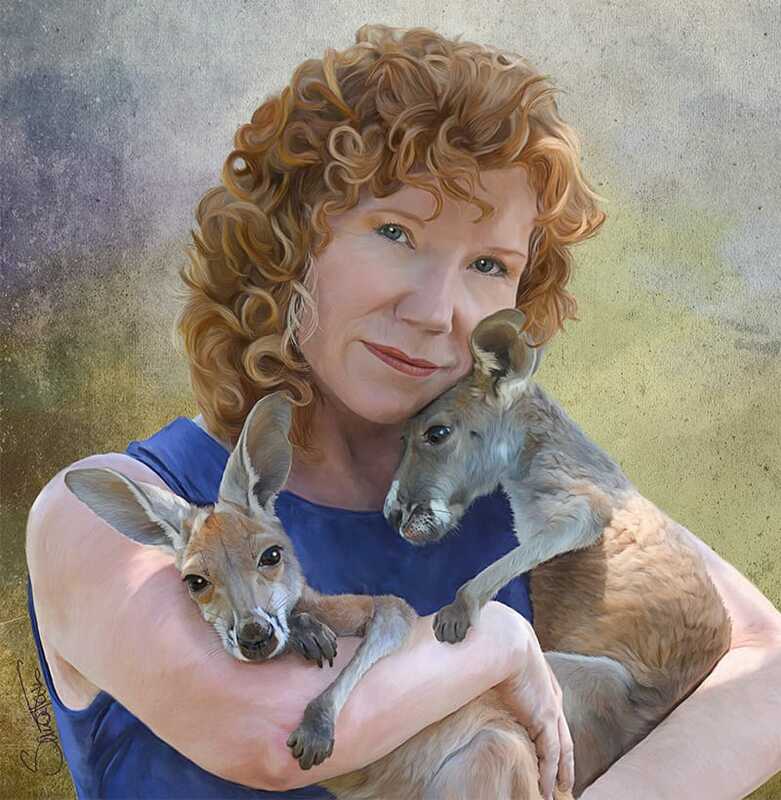 Ultimately, those little joey’s (young kangaroos) opened my artistic heart. Those big deep eyes let me look into their souls and I was entranced. This led me to a new passion. I wanted to document them in their journey to recovery and ultimately their release back into the wild. So I put my detail oriented mind to the task of creating digital paintings to bring texture and life into my beautiful subjects, so they could remain with me long after they’d returned to the wild. 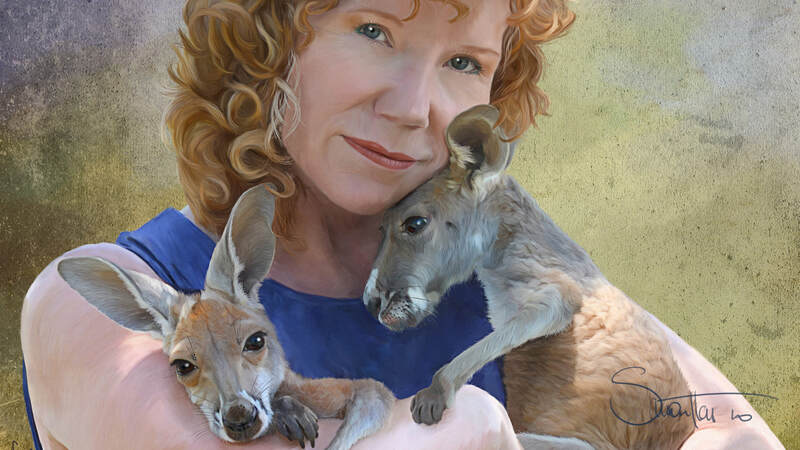 As sales of my art form move forward and my work with orphaned critters continues, I learn every day that I am not alone in my passion for these amazing and noble Australian wonders and I’m encouraged. Thank you for spending time here. Thank you for your support of my art. I am sure you will find a piece on this site that moves you. In fact that is my goal. While here, please join my list so you can stay alerted to future events, new work, special offers, and more in the months ahead. See you in your inbox! "Seriously Morgan! I've explained camera focal length to you before!" Sign up for my NEWSLETTER, special offers and discounts. Frequency ONE a month. DISCOUNT on your first order in Australia. Free Kangatruism with first order for overseas critter friends. I LOVE Critters Sign Me UP!